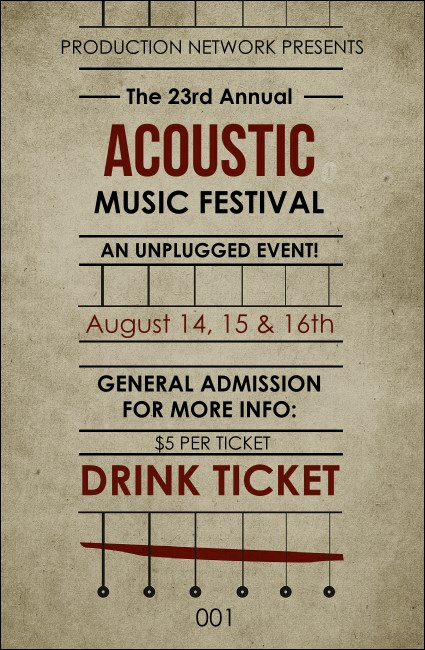 Give your guests the chance to unplug and relax with classic Acoustic Strings Drink Tickets. Each ticket features a newspaper-like background with a string instrument theme and includes convenient, secure numbering as well as ten lines of black and red text for all your event details. UK Ticket Printing helps you make beautiful music.